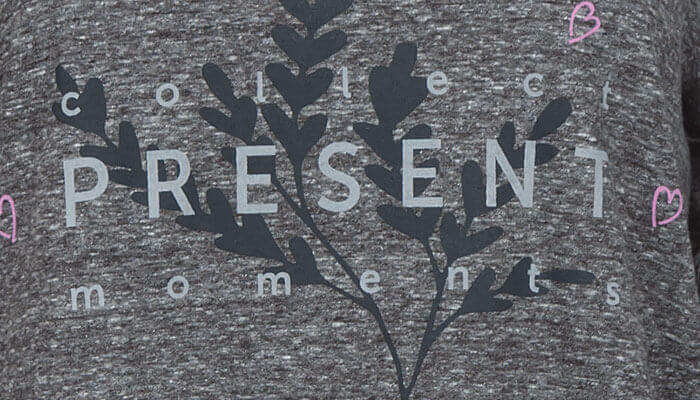 'Collect Present Moments', Long sleeve scoop neck organic t-shirt. 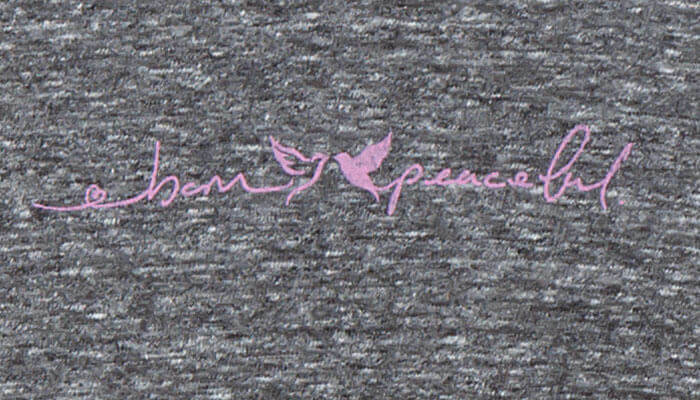 Perfect for layering with your yoga leggings or jeans,. 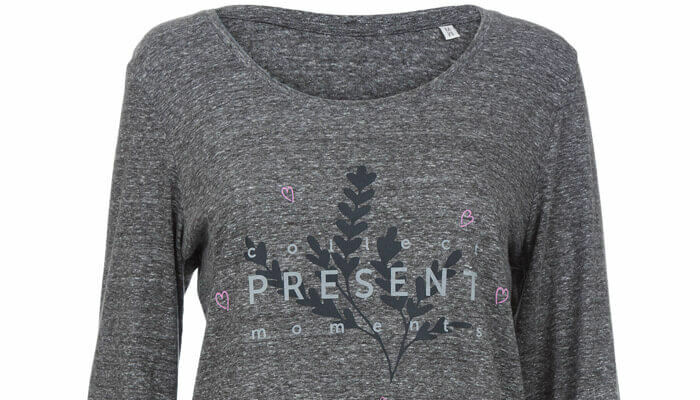 Great for covering up after a class or just lounging and a gentle reminder to collect moments, not things!